Sasha Roiz is an Israeli-Canadian actor best known for his roles as Sam Adama in the science fiction television series Caprica and Captain Sean Renard in NBC’s Grimm. 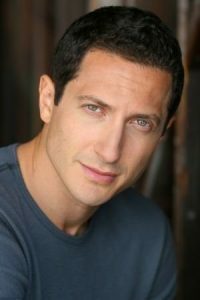 Roiz was born in Tel Aviv, Israel, on October 21, 1973 to Rima Roiz and Jacob Roiz. He belongs to Russian Jewish descent. He moved to Canada with his family in 1980. He has a brother, Elan Roiz. He attended and graduated from Guildford School of Acting in England. He studied history before pursuing acting. *He was born in Israel, but to Montreal, Canada when he was 7. *He has Russian Jewish ancestry. *He was in a relationship with Asha Leo from 2012 to 2013.